NOT A TOY! This is the real deal! Please check the Museum's on-line calendar for available dates and times. 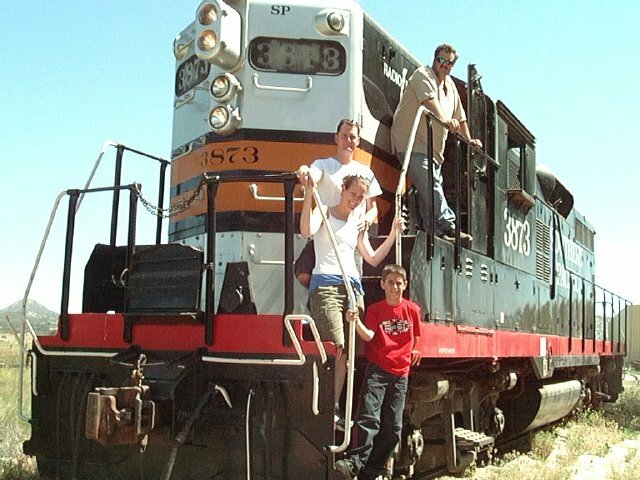 The Pacific Southwest Railway Museum is again pleased to offer its popular "Engineer-for-an-Hour" program at its Campo, California living-history and train-operation center, 50 miles east of downtown San Diego. 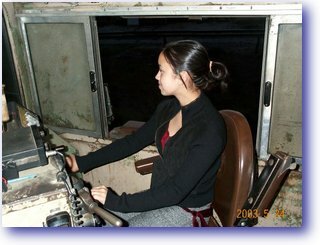 This unique program allows participants young and old to experience the thrill of being in command of a powerful railroad locomotive. Feel the surge as you open the throttle. Bring it to an easy stop with the air brake. Sound the horn and bell in the time-honored fashion. 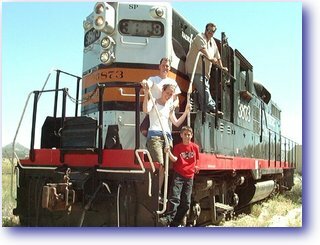 A qualified Museum engineer will provide basic instruction in the operation of the locomotive and its controls. Engineer for an Hour will be offered on the dates below. Please click on the date to place your reservation. 12:30, 1:30, 2:30 & 3:30 PM A perfect choice for that hard-to-please guy or gal, or the frustrated locomotive engineer in the family. A truly unique gift! Be sure to bring your camera to preserve the moment. Includes signed certificate of completion, suitable for framing. One "Individual" Museum membership will be included in the fee for each non-member participant.